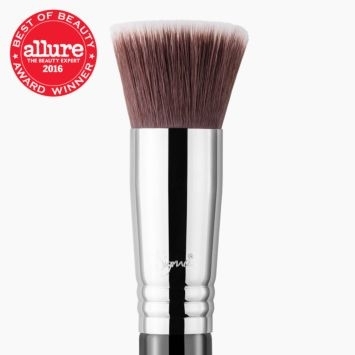 F56 Accentuate Highlighter™ Brush - Black/Chrome is rated 4.5 out of 5 by 2. 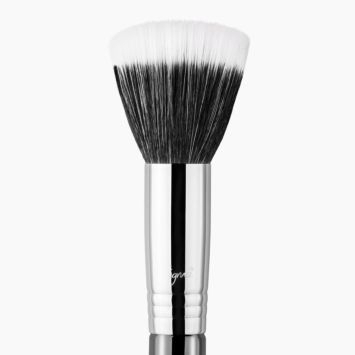 Rated 5 out of 5 by McSassy74 from Amazing brush for contour and highlight I purchased this brush with the intent to use for contour and highlighting the cheekbones. 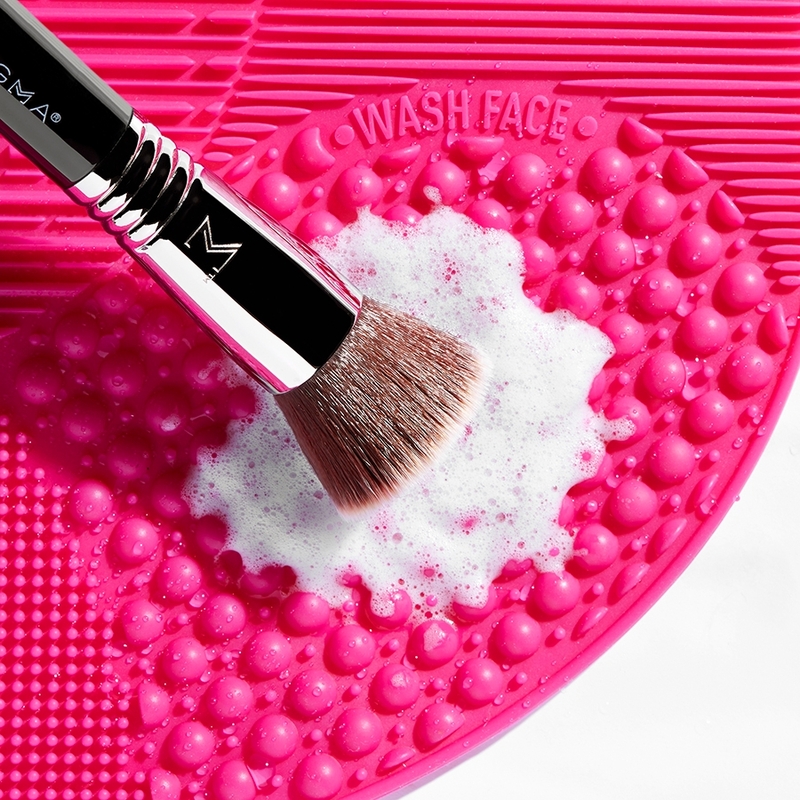 This brush is super soft, but firm enough to pick up the product and place it exactly where you want the products without fluffing it all over the place. 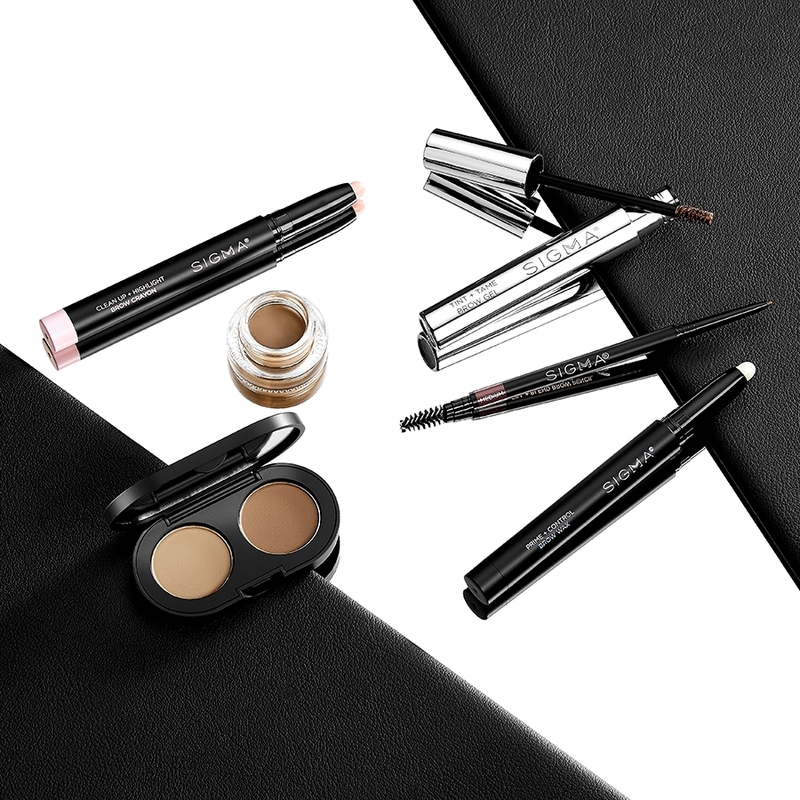 The curve nicely fits the curve of your cheekbones. 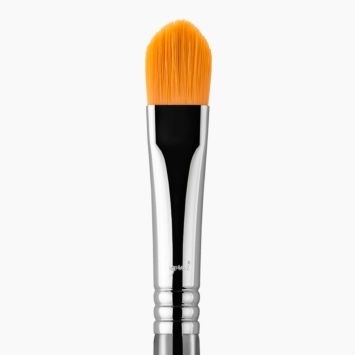 This is quickly becoming one of my favorite face brushes. Rated 4 out of 5 by Teaganluck from AMAZING! 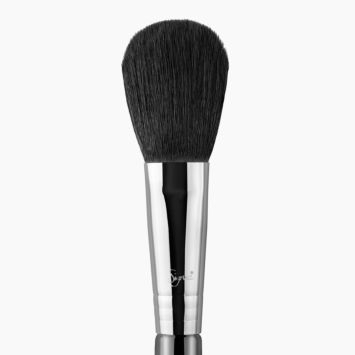 I bought this brush a couple of weeks ago with the purpose of using it as a contour brush and I was not disappointed. 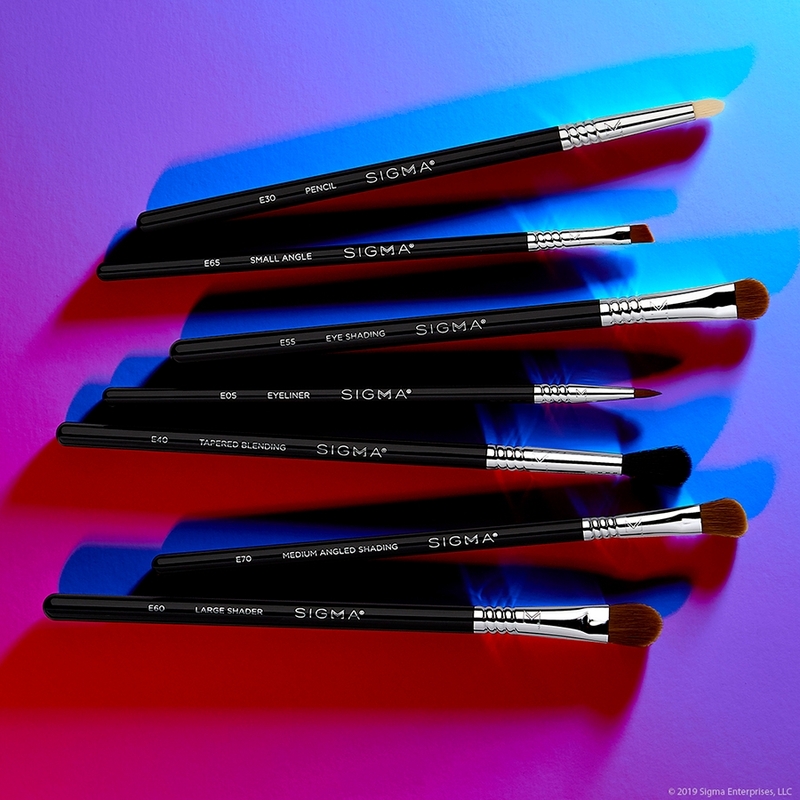 Its an extremely good quality brush with soft bristles that pick up the makeup product without it soaking into the brush head so you are not waisting any product. 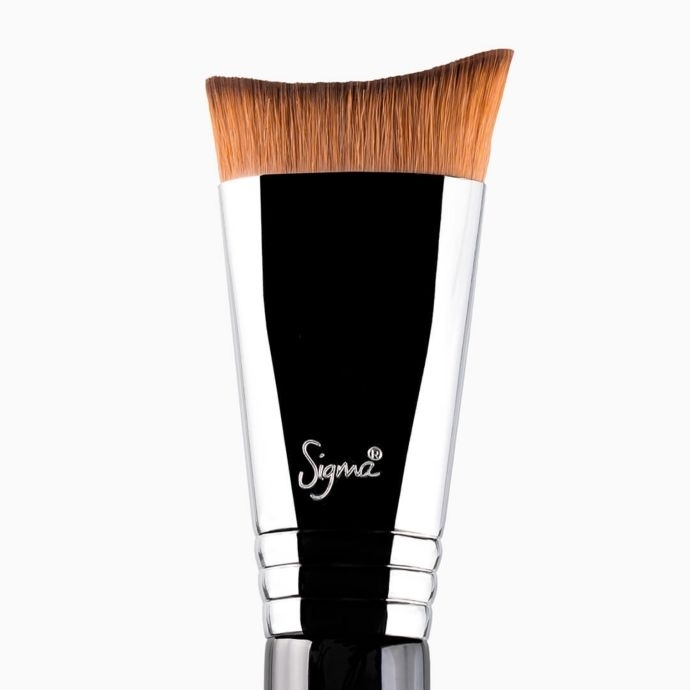 Really easy to apply with precision (especially when using to contour) and also blend for desired look. 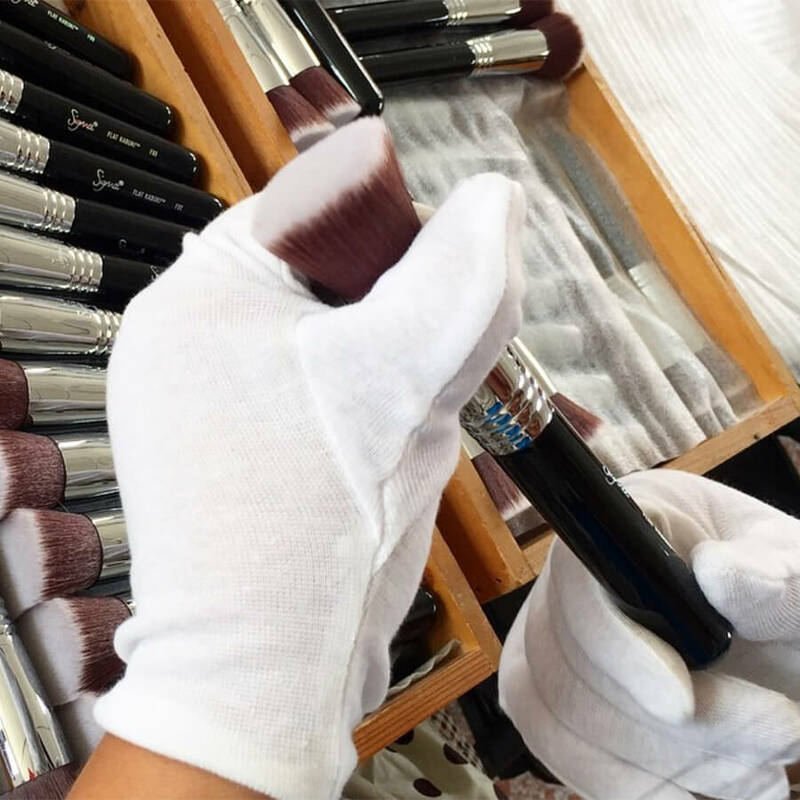 Would absolutely recommend this for anyone from beginners to experts in the makeup industry. 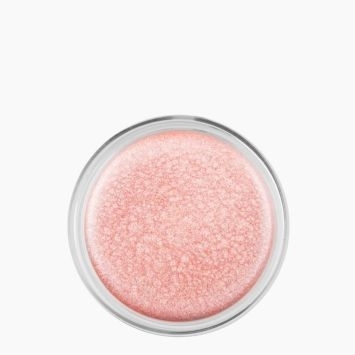 Will this ever be available in copper? 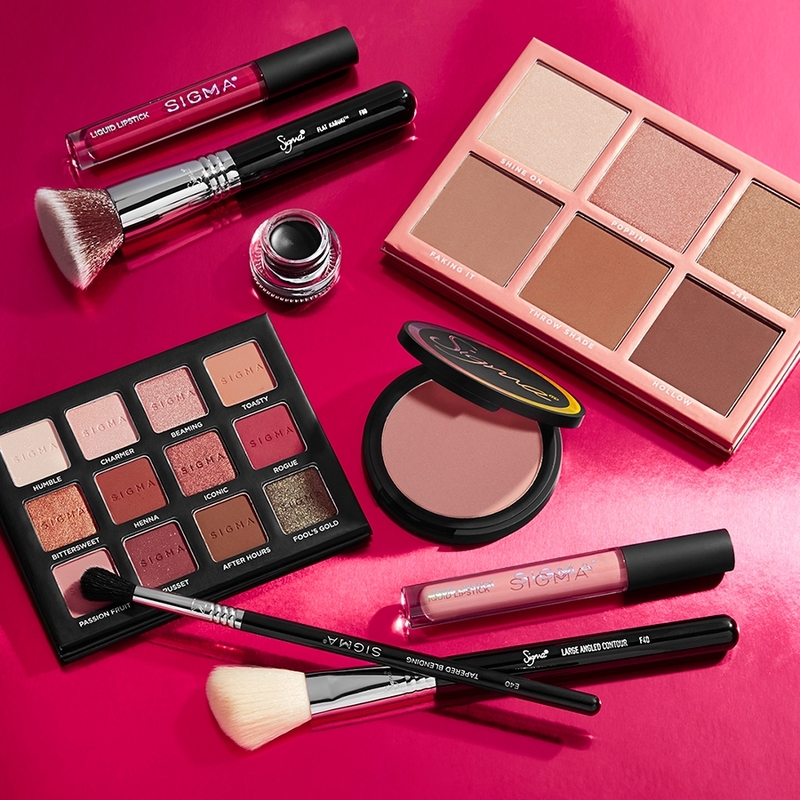 Please stay tuned with our Facebook, Twitter and Newsletters for the latest product launches, restock alerts and promotions! 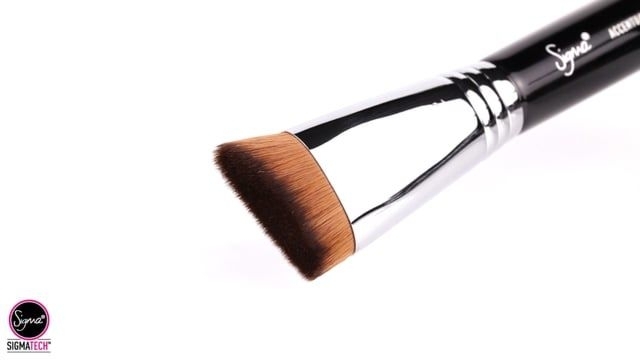 Could you use this to contour? Absolutely! 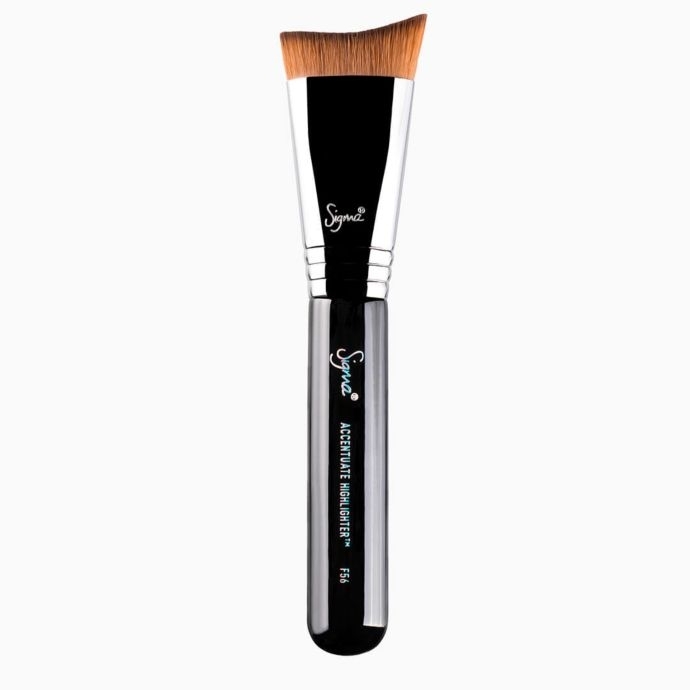 The recommended use is to apply highlighter, however, this brush is very versatile and would also work great for contouring cream or powder products. 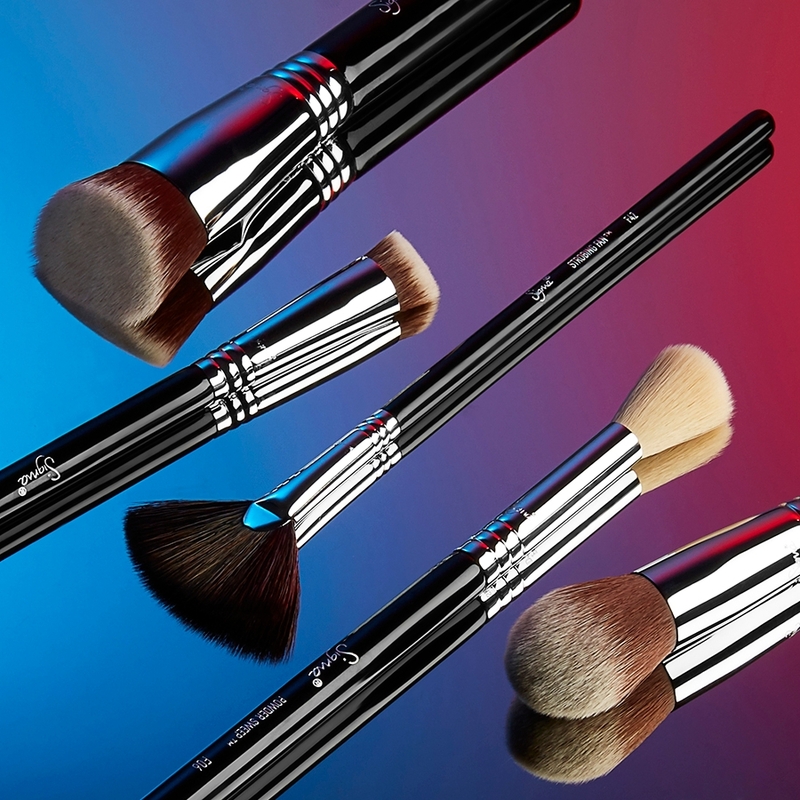 The F56 brush is made with our exclusive synthetic SigmaTech fibers! 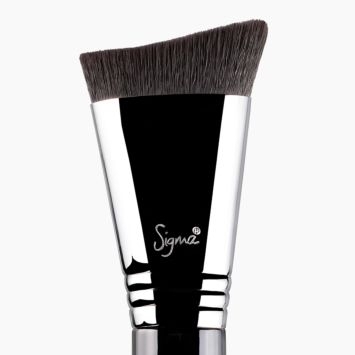 Are you (Sigma) going to add video clips to your new brush pages so we can see exactly how to use them? 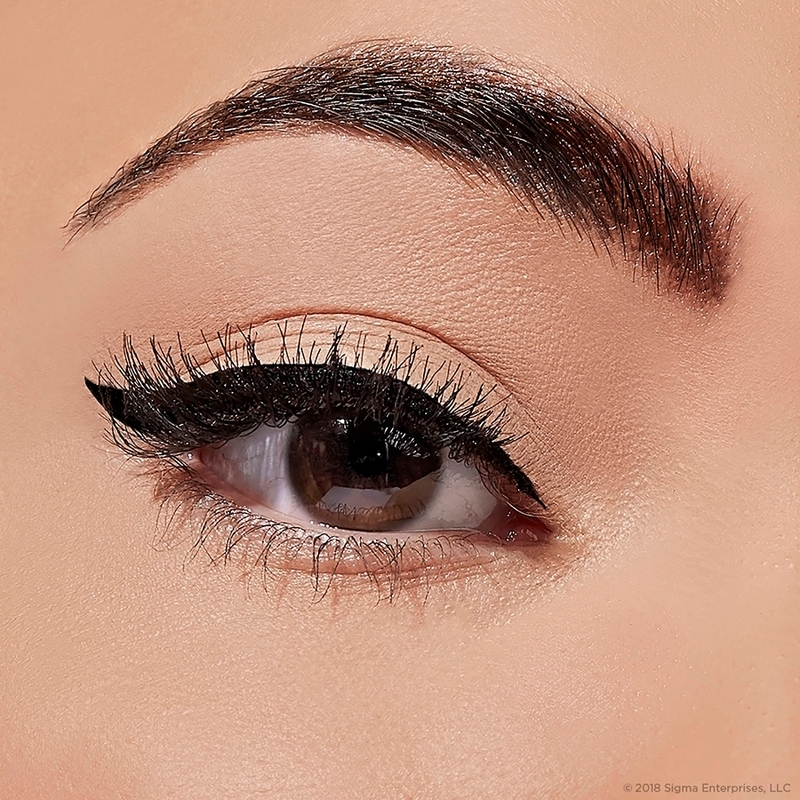 I find the videos very useful as I am mediocre at applying makeup, especially contour/highlight makeup. Please stay tuned to our Facebook, Twitter, Instagram, and Newsletter for the latest updates, events, contests, giveaways and promotions.